Crafted for mountaineers, skiers and adventurers that push deep into frigid backcountry winters. Learn more. Crafted for mountaineers, skiers and adventurers that push deep into frigid backcountry winters. For those that take their adventures into the heart of winter or into colder climates, the Oberon provides the crucial protection you need. We engineered the Oberon to protect athletes from extreme conditions during extreme pursuits, meticulously designing every gram to add warmth and security for the user. Certified by the Responsible Down Standard, the bag's 800-fill Nikwax Hydrophobic Down™ repels moisture and stays warm in damp conditions. Get better rest while keeping the cold at bay with the Oberon. Storage sack and compression stuff sack included. 800-fill Nikwax Hydrophobic Down™: Dries three times faster than untreated down without using dangerous PFCs. Zoned Insulation: Maximizes warmth and saves weight by intentionally placing fill where you need it most. 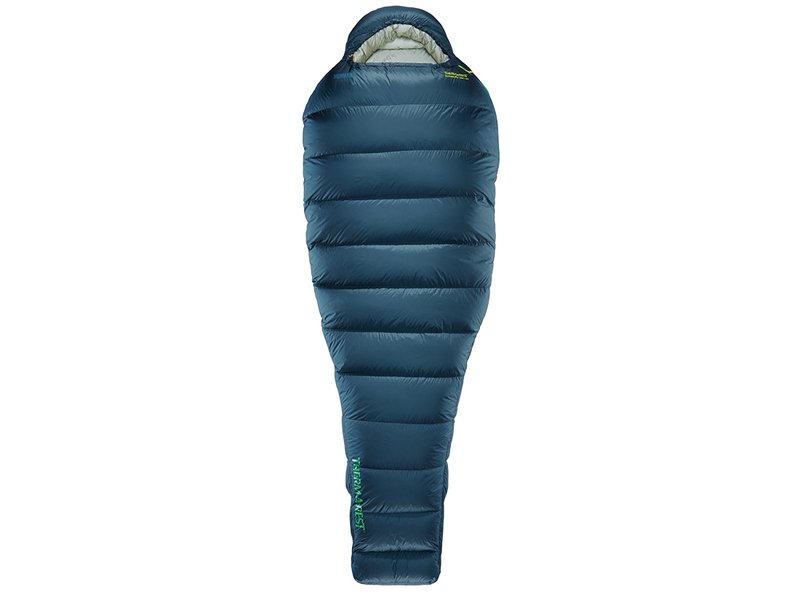 Using 60% of the fill on top and 40% on the bottom gives the Oberon the optimum balance of warmth-to-weight. Toe-asis™ Foot Warmer Pocket: Ergonomic toe box that rapidly warms cold feet in a pocket of warm down. Additional features: Heat-trapping draft collars, full-length zipper draft tubes, differential cut, snag-free zipper, cinchable hood and external zip pocket. What is an EN Rating? 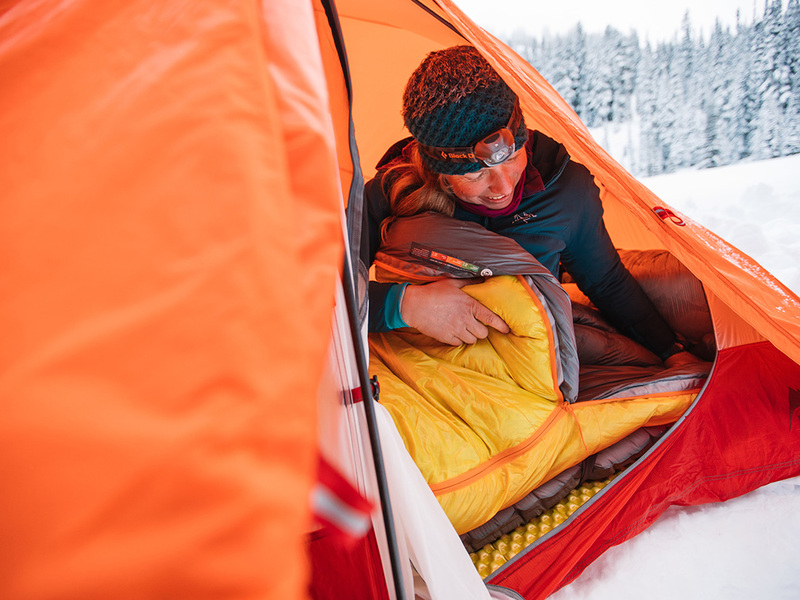 How do Therm-a-Rest® sleeping bags offer a better way to sleep in the outdoors? Therm-a-Rest® sleeping bags offer a lighter, more comfortable way to sleep. 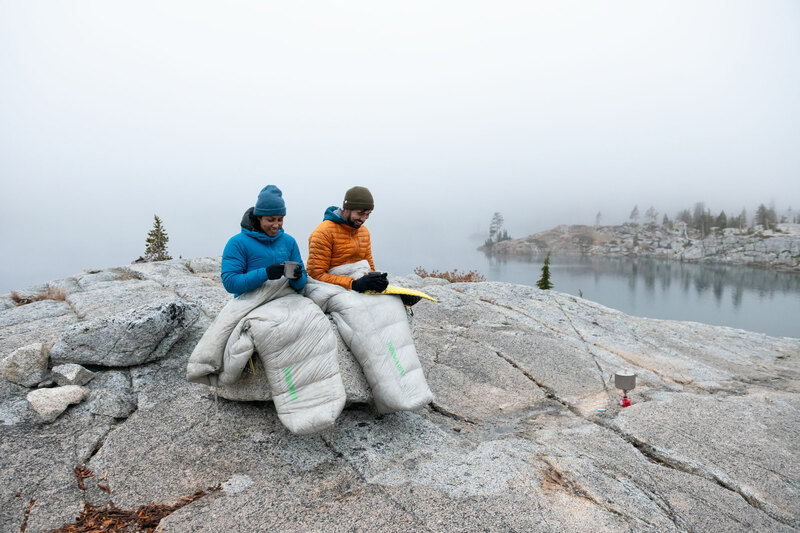 Using an integrated system approach that pairs mattress and pad together, our system solution also allows our bags to be among the lightest on the market, making them an ideal choice for anyone in search of warmer, more restful nights and lighter, more productive days in the backcountry. Read more about our Design Philosophy. 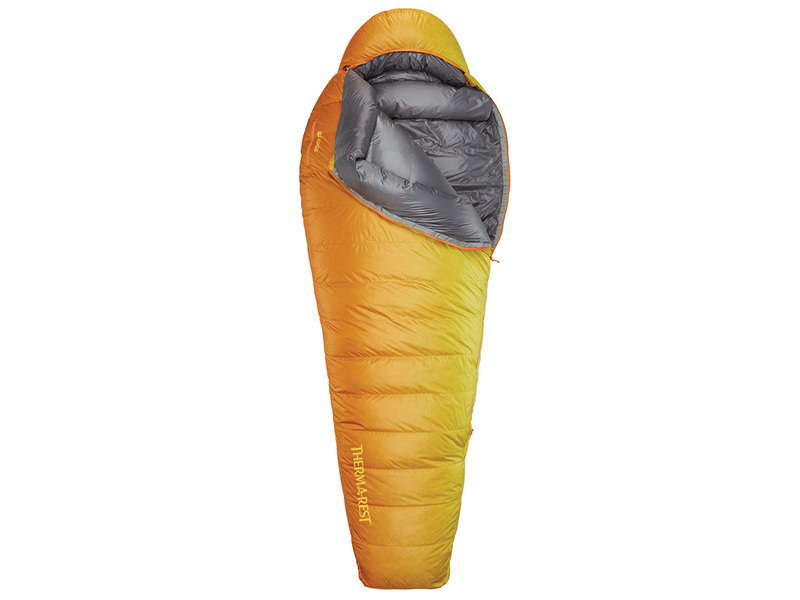 Do I have to use a Therm-a-Rest® pad with my Therm-a-Rest® sleeping bag? No. Our SynergyLink™ system that connects your bag and mattress together works with any pad up to 25” wide. We recommend Therm-a-Rest® NeoAir™ mattresses, especially the XTherm™, All Season and XLite™, because they are incredibly light and warm. They also provide reflective warmth you can feel through the bottom of our 3-season bags. Self-inflating mats and closed-cell mats also work well for customers who don’t have a Therm-a-Rest® NeoAir™ mattress. 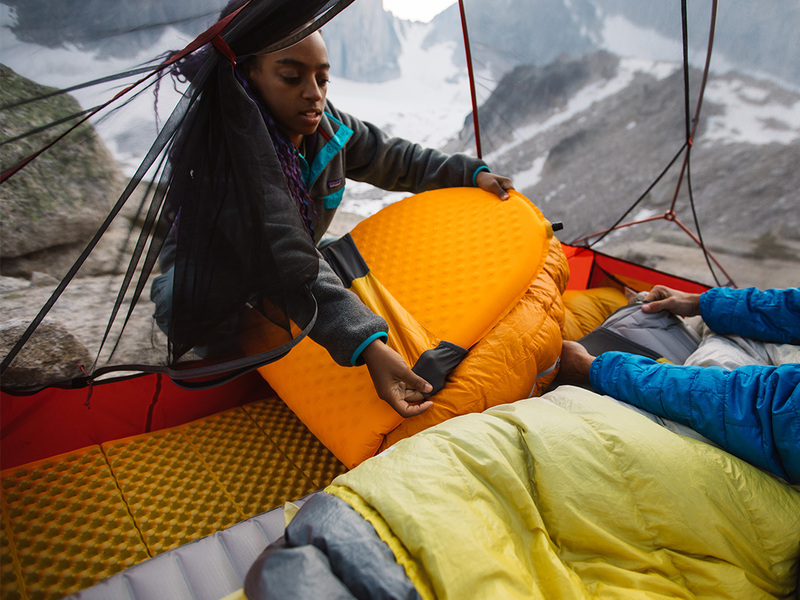 Like many sleeping bags, Therm-a-Rest® sleeping bags are tested and rated when paired with a mattress with an R-value of approximately 4.7, where R-Value is a measurement of the warmth of the mattress. This R-value is clearly marked on all Therm-a-Rest® mattress packaging and on our website. As long as you use a mattress with this R-value or higher, most people will be warm at the advertised temperature rating for any of our bags. Everyone sleeps differently in the outdoors, and you must ultimately find the combination that works best for you. If you are a warm sleeper, or are using a bag that has a temperature rating significantly higher than the temperature you are sleeping in, you may be comfortable with a lower R-value mattress. Alternatively, if you sleep cold, or have a bag that has a temperature rating significantly lower than temperature sleeping in, you may prefer to use a higher R-value pad. 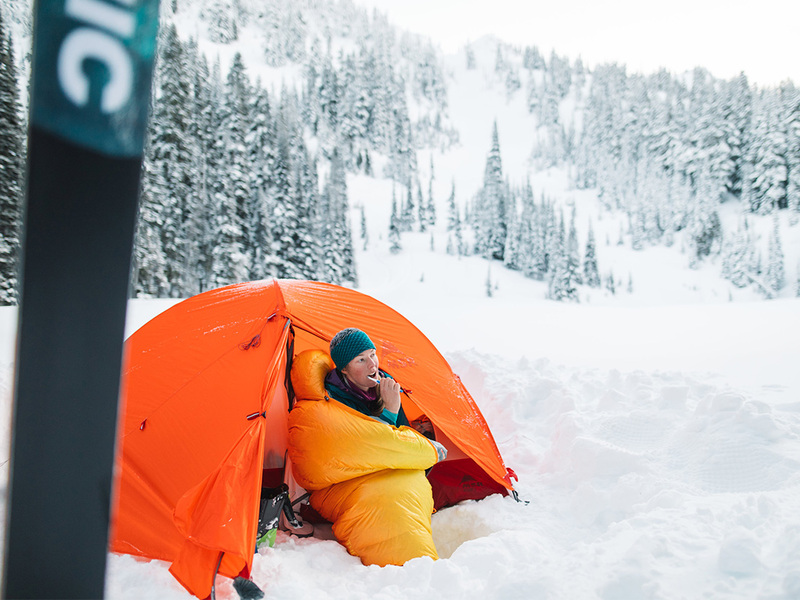 What kind of testing went in to the development of Therm-a-Rest® sleeping bags? For over 40 years Therm-a-Rest has pursued a single mission: to provide the best night of sleep in the outdoors. Along the way, we’ve spent countless hours field testing, conducting independent trials and studying consumer feedback. And we are one of the only manufacturers in North America with an in-house cold chamber. 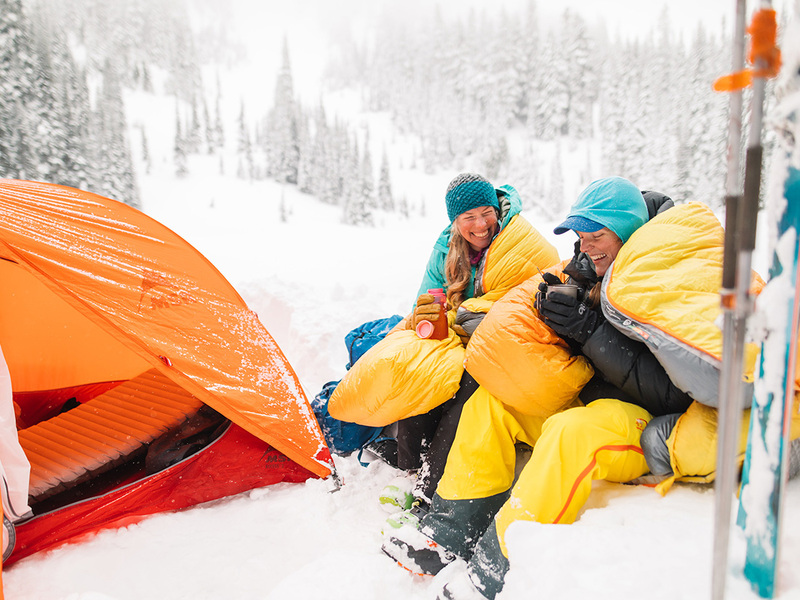 For close to 20 years, we have tested sleeping bags and mattresses together in our cold chamber and examined almost every aspect of sleep insulation to better gauge real world performance. 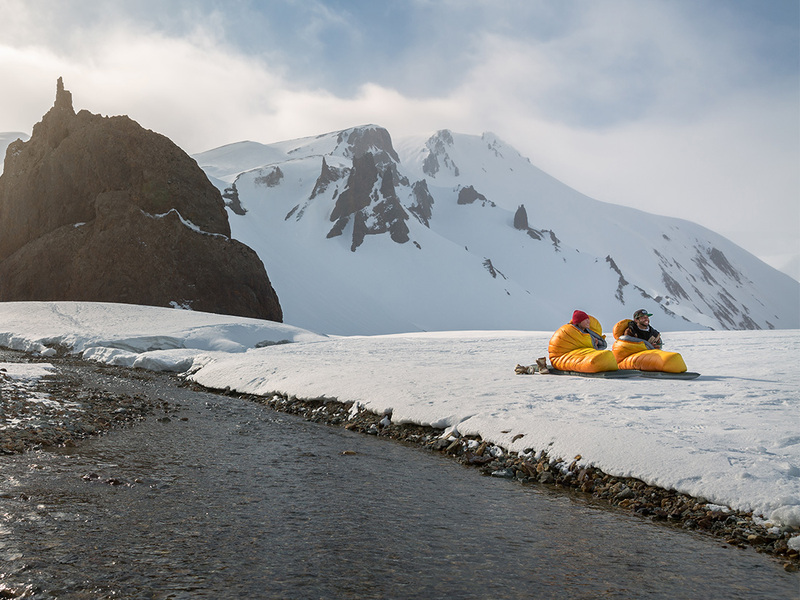 We have always approached product testing with the view that the mattress and sleeping bag need to function together as one system to provide optimal comfort and performance. Through our decades of research, we have learned exactly what makes a great night under the stars. What is the Better Sleep Guarantee? Why are Therm-a-Rest® sleeping bags so great for slide sleepers? 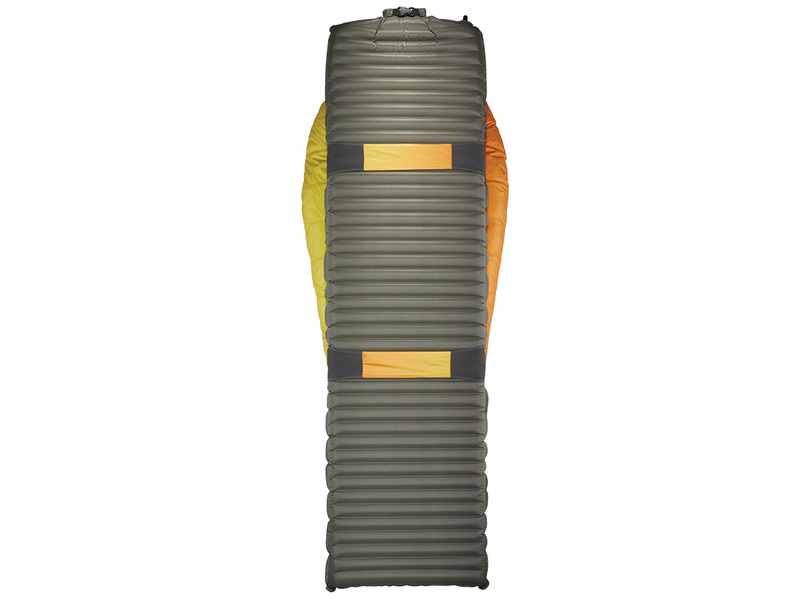 Therm-a-Rest® sleeping bags are designed to accommodate a wide range of sleep positions. Therm-a-Rest sleeping bags are designed with extra room in the torso to allow your shoulders, elbows and hips to move freely. At the head and foot the fit is closer, keeping you warm and decreasing overall weight. In addition, the placement of our SynergyLink connectors is optimized to keep the mattress secure while you roll, yet allow the head and foot of the bag to rotate 90-degrees in either direction, following you for maximum comfort and warmth. How do I insert my pad into the SynergyLink™ Connectors attached to my sleeping bag? Our patent-pending, easy-to-use connectors ensure that you stay on your pad, so you can stay warm all night. To insert your mattress, start with a fully inflated pad. Insert the head of the pad into the fabric connector near the head of the sleeping bag, then bend the pad and insert the foot of the pad into the other connector. Why should I consider using a Therm-a-Rest quilt? Using a quilt can save you weight, allow for multiple sleep positions and versatility to your sleep system. To learn more by checking out our blogs on Backpacking With A Quilt and Understanding The Underestimated Camp Quilt. Can a Therm-a-Rest® NeoAir™ mattress really make my Therm-a-Rest® sleeping bag feel warmer? Unlike other mattresses, Therm-a-Rest® NeoAir™ mattresses reflect a moderate amount of radiant heat. When used next to the skin, the effect is noticeable. Although this radiant heat always contributes to overall warmth, most sleeping bags have too much insulation in the back for the effect to be noticed. Therm-a-Rest® sleeping bags are designed with less insulation in the back than most other sleeping bags, allowing radiant heat to be felt throughout the night. What is eraLoft synthetic insulation? 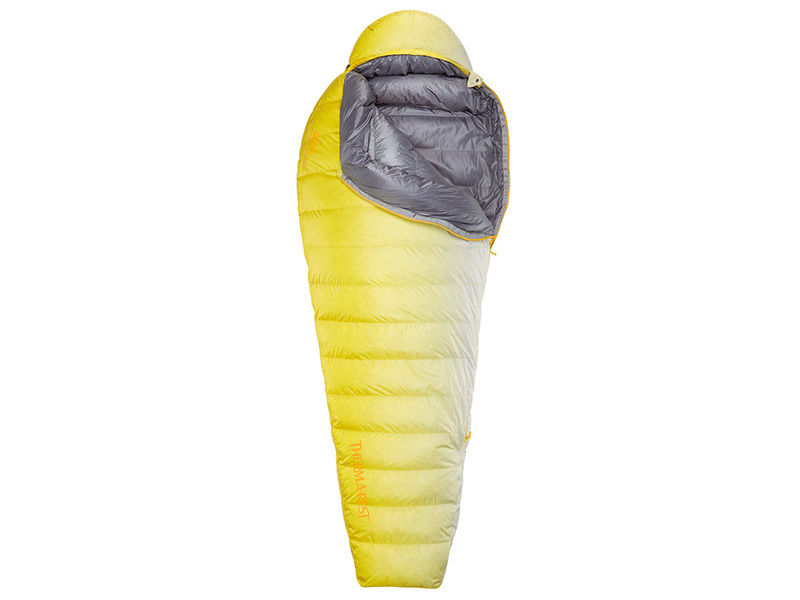 Therm-a-Rest® sleeping bags use a unique synthetic insulation that incorporates the best characteristics of both short and long staple insulation. Our EraLoft™ synthetic insulation uses three distinct fibers to create a structure that is lightweight, compressible, warm and durable. The hollow fibers are highly resistant to water and provide warmth even when wet. The insulation is built into Therm-a-Rest® sleeping bags using shingle construction, a configuration that minimizes heat loss and provides the most efficient performance. 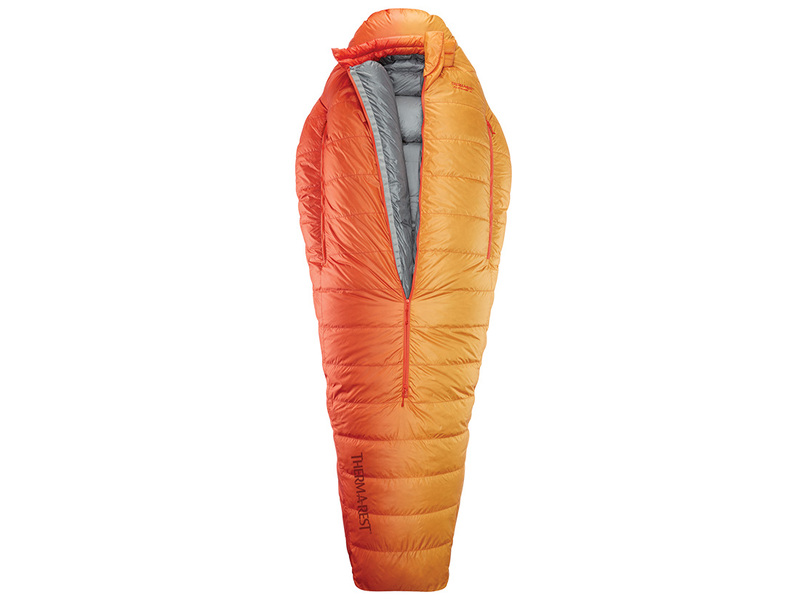 How warm is my sleeping bag and what is the EN/ISO Standard? The new ISO standard has made a few updates to the previous EN rating system. 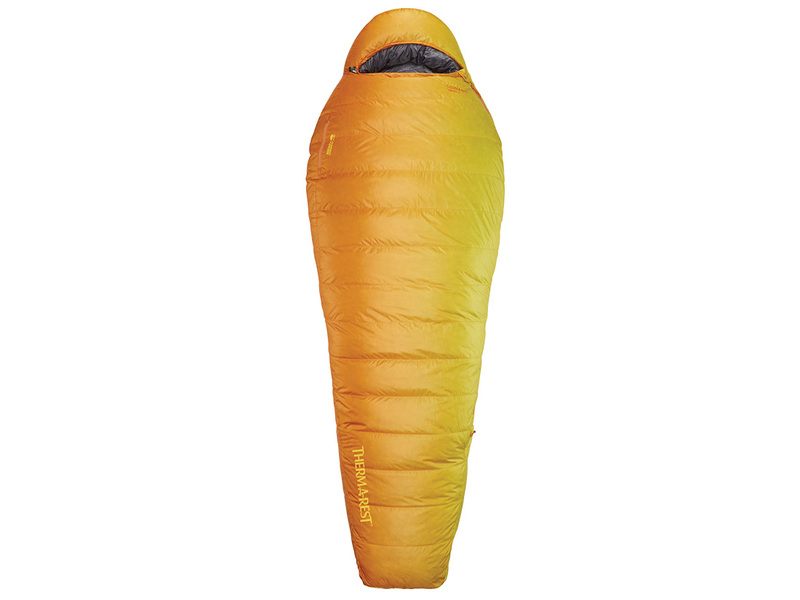 All Therm-a-Rest sleeping bags have been adhering to the most updated standards and tested in our on-site cold chamber. For more info on the EN/ISO testing, head over to our blog. Therm-a-Rest actively supports industry-wide efforts to ensure all down-filled products are made with the least harm possible. We are opposed to inhumane practices and actively work with peers across all industries to improve the treatment of geese. 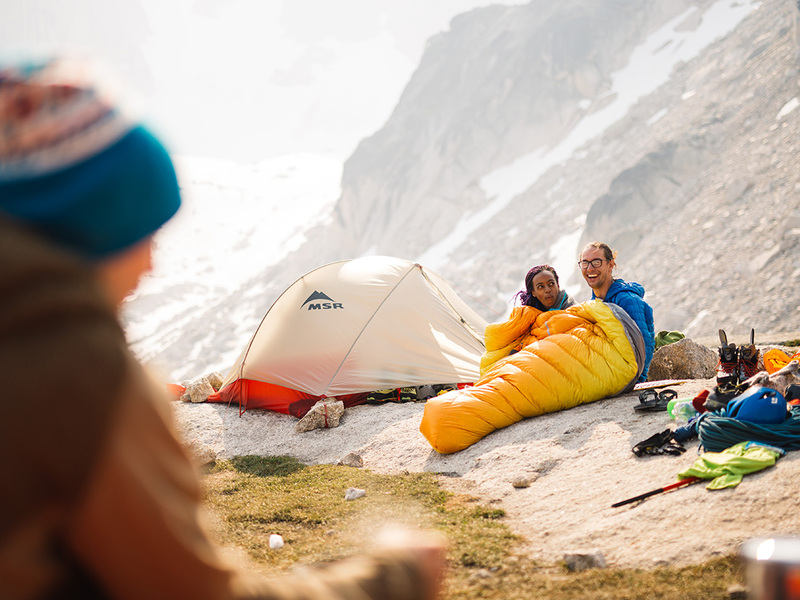 Our product development team plays an active role in the Outdoor Industry Association (OIA) and its Textile Exchange Materials Traceability Working Group (TEMTWG). Our team also serves on the TEMTWG Down Task Force, working to address key issues in the down and feather industry and manufacturing supply chain. What should I do if my sleeping bag loses down? It is unusual, but occasionally a down plume can pass through the fabric of any sleeping bag. The best solution is to cut the down plume as close to the fabric as possible with a pair of scissors. This removes the sharp end of the plume that managed to penetrate the fabric. Then, push the remainder of the plume back into the bag. Rub the fabric between your fingers to seal the hole. 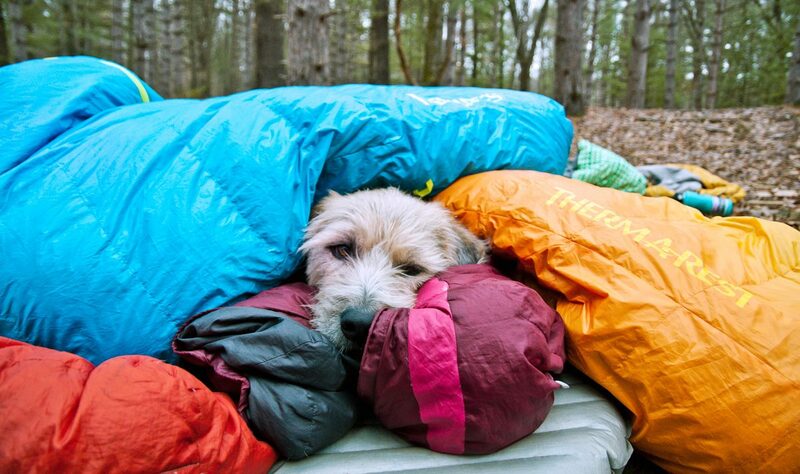 Most sleeping bags hold more than two million down plumes. The loss of a handful will make no difference in your sleeping bag’s performance. 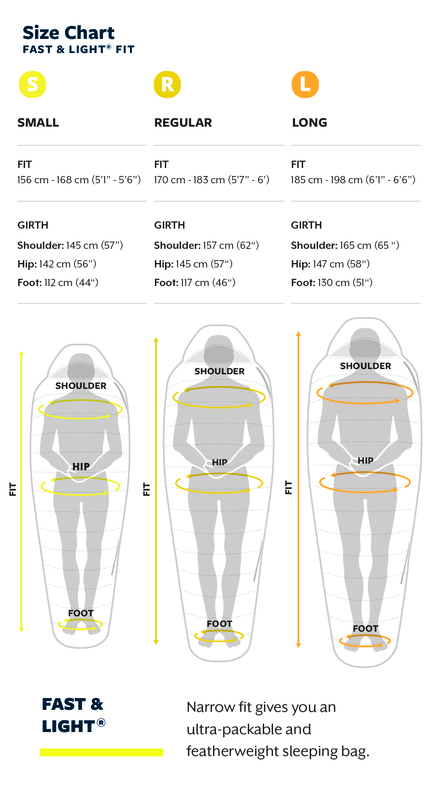 How should I store my sleeping bag? Sleeping bags must be stored dry and loose (not compressed) in order to extend the life of the bag. 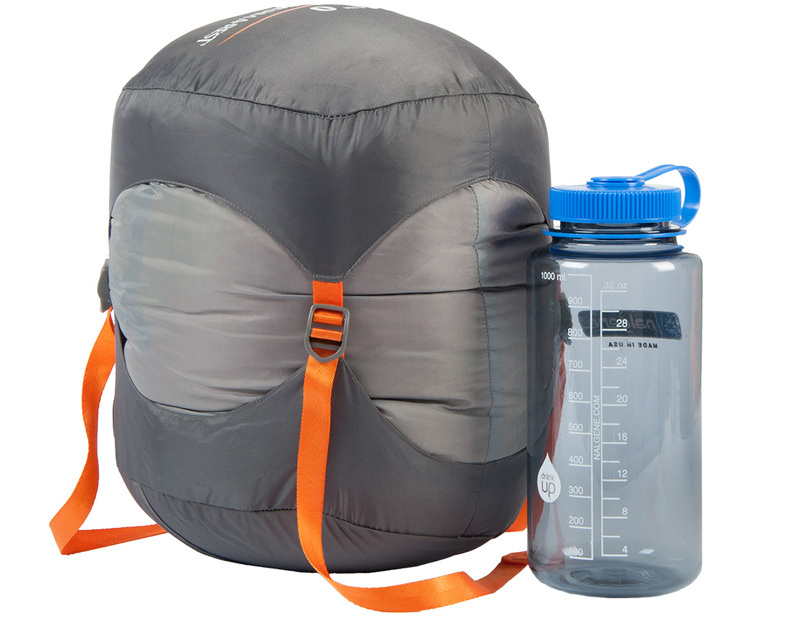 All Therm-a-Rest® sleeping bags come with a compartmental storage sack. For long term storage, the sleeping bag should be stored with the sack fully extended. For short-term storage or when shipping, you can use the smaller draw cord loop in the center of the sack to create a tighter container that saves space. 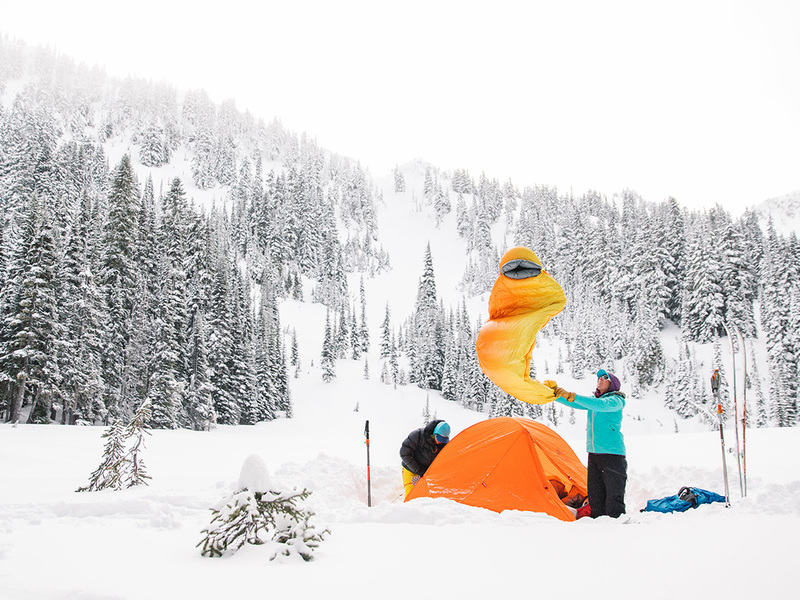 How do I clean my Therm-a-Rest® sleeping bag? Follow the care instructions below to help maintain the high quality and extend the life of your down or synthetic Therm-a-Rest® sleeping bag. All hydrophobic down treatments wash out over time, and washing is hard on all down. Extend the life of your bag by spot cleaning with a damp sponge, and only machine washing when necessary. Hand wash or machine wash in a large capacity, front loading washing machine, using 3 oz. of Nikwax(r) Down Wash(tm). Select cold water and a gentle/delicate cycle with two rinses. We recommend an additional spin cycle as well to extract as much water as possible before drying. DO NOT dry clean. DO NOT bleach. DO NOT iron. Hang dry your bag whenever possible. This can be a long process (24-48 hours or more), but this is by far the best way to get the longest life from your down. Use a well-ventilated, low-humidity environment. Hand-tease or shake out your bag gently to break-up down clumps, and flip it often to help speed the process. If you need to dry your bag faster, tumble dry in a large dryer on low heat. As your bag gets drier, it will begin to loft and can actually fill the dryer chamber, preventing it from tumbling. This can cause hot spots and even melt the bag's shell, so check it often for overheating and visually inspect frequently to make sure it's tumbling. When you check it, feel for clumps of wet down and either shake the bag gently or hand-tease the clumps apart to redistribute down. Throwing in 3-5 tennis balls can help agitate the bag, breaking up those wet down clusters to speed dry times. Use Nikwax® Down Proof™ to restore your down's hydrophobic properties. Specially formulated to renew the Nikwax Hydrophobic Down treatment, it can also be used to provide improved water-resistance to any down bag. Follow directions on the bottle. The less time your sleeping bag is compressed, the longer it will serve you by maintaining the loft necessary to keep you warm. Store your sleeping bag loose, in a cool, dry place. If you must store it in a bag, use the extended storage sack it came in, or something even larger. Never use a waterproof bag for long-term storage. Hand wash or machine wash in large-capacity, front loading washing machine. Use a mild, non-detergent soap. Select cold water and a gentle cycle with two rinses. Hang dry your bag whenever possible. This can be a long process (24-48 hours), but this is by far the best way to get the longest life from your bag. Use a well-ventilated, low-humidity environment. Unzip fully and flip it often to help speed the process. If you need to dry your bag faster, tumble dry in a large dryer on low heat. As your bag gets drier, it will begin to loft and can actually fill the dryer chamber, preventing it from tumbling. This can cause hot spots and even melt the bag's shell, so check it often for overheating and visually inspect frequently to make sure it's tumbling. What if I want to return a Therm-a-Rest® sleeping bag? Our Better Sleep Guarantee ensures that if you are not completely satisfied with your Therm-a-Rest® sleeping bag, we will give you a full refund – no questions asked. Return your clean, undamaged bag or blanket to the place of purchase within 90 days, with your original receipt, and receive a full refund. If your retailer is not participating, please contact Therm-a-Rest directly. Learn more about our Better Sleep Guarantee. Are Therm-a-Rest sleeping bags under warranty? 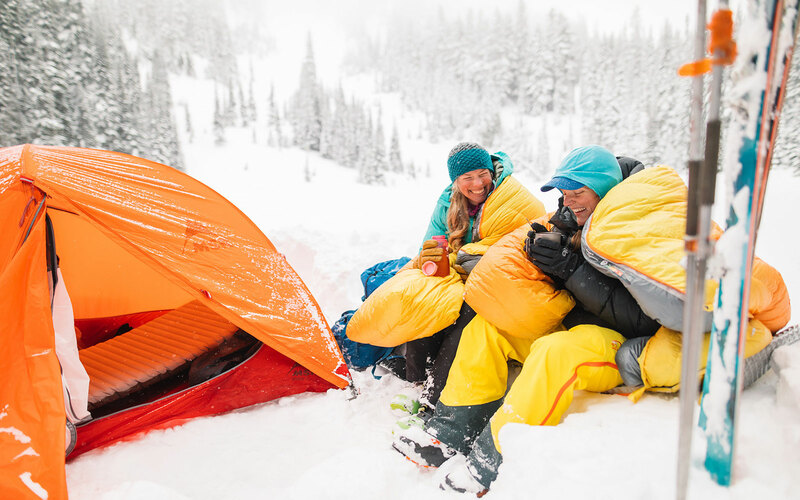 Therm-a-Rest® offers a Limited Lifetime Warranty for most products including all sleeping bags. Your sleeping bag is guaranteed without time limit against defects in materials and workmanship. We also offer repair services for damages not covered under warranty. Learn more about Therm-a-Rest® Warranty & Repair. 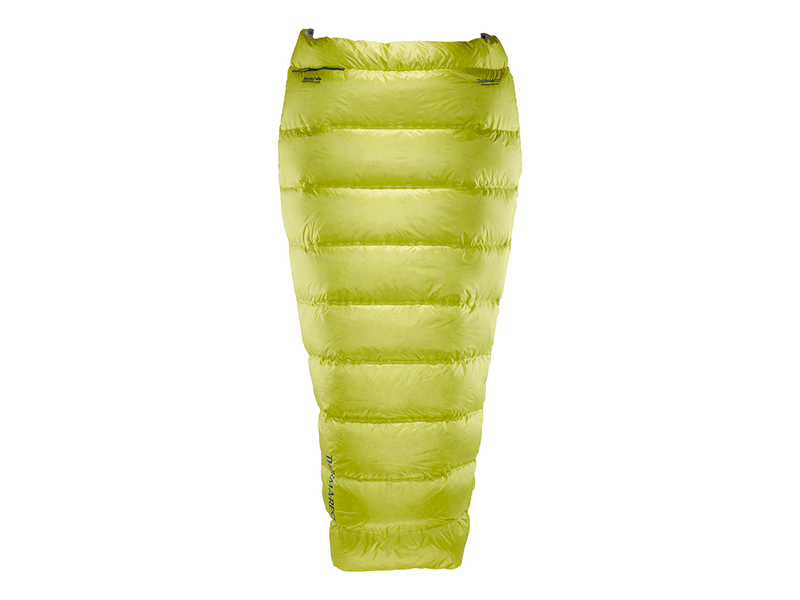 Why were ThermaCapture Linings removed from Therm-a-Rest sleeping bags? For environmental and manufacturing reasons, we decided to remove the ThermaCapture linings from our sleeping bags. After reviewing the cost-benefit of putting the material in our bags, we could no longer justify the environmental and logistics cost. The sleeping bag specifications will see minimal changes if any and the bags will remain under the Better Sleep Guarantee.